It’s always a blast to meet new people on the road. We come from various backgrounds, hold onto different ideals and yet have many shared experiences. About as fun as it gets on the road is watching people and making up stories for them as you watch. The young traveler trying to find him or herself…the two lovers who met on a train…or even the two best friends who set out for a European summer vacation when they were 12 as they became blood brothers and now, at 21 and recent college grads, they are acting on that youthful commitment. Let’s use Verona, Italy as our backdrop for this story. 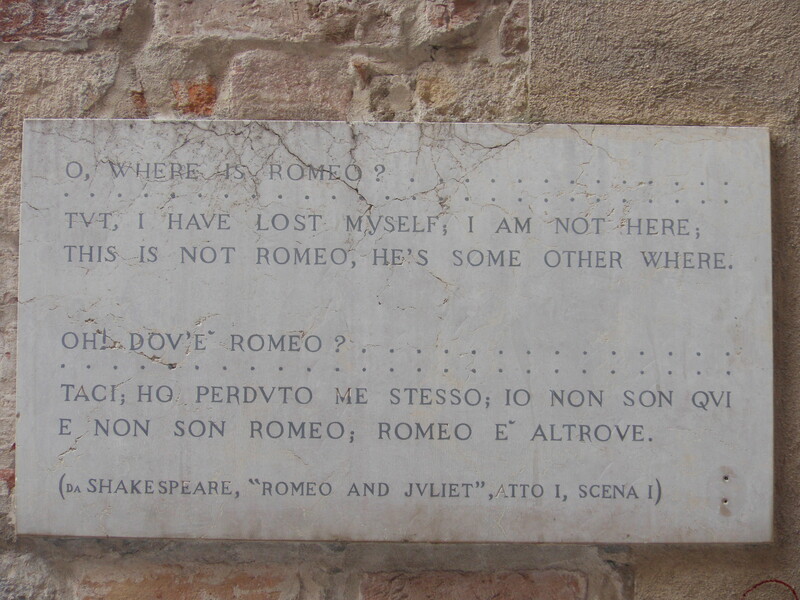 One of the, if not, the most romantic places in the world, as this is the home of Romeo and Juliet and they were made up characters! So as I sit on among the people of Verona in the town square I begin to People Watch and create characters to fit my story…The subject, a beautiful woman, likely 28-33. Dark complexion and dark hair—stunningly natural. As the film begins we wonder why the 28-33 year old natural beauty is solo? 1) Is her man in the hotel? My answer while strolling the plaza—no way. 2) Did she just break up with her long-time boyfriend and is now on a search for pure love in Juliet’s backyard? My answer—maybe. But that is too typical for this romance feature. 3) Has she been in the same stagnate 5-year relationship and needs a break to figure it out? Not bad, but then he would likely show up on a white horse or she meets a local for a passionate weekend excursion a la Vicki/Cristina Barcelona and that is too predictable. 4) Worst of all—has she never felt love? Getting warmer…Yea, she has never felt what love feels like but obviously it is all around her as she walks and talks in a variety of settings. 5) Has she expressed her desire to love and be loved to the universe to see and hear? Here we go—the film is set. Yea, watching her from this concrete stool, #5 seems the best option for this people-watching story. As act 1 continues we learn about her back-story. She has typically dated men because they were there, but is a romantic at heart who yearns to laugh, be challenged and have intensely competitive games of scrabble…yes, welcome to People Watching in Verona. Oh the joys of traveling and the constant amazement of people.